2 How "successful" is calvarial reconstruction using frozen autologous bone? 10 Is resection of gliomas in Wernicke's area reliable? 13 Fractionated stereotactic radiotherapy of vestibular schwannomas accelerates hearing loss. 18 Ethical considerations for performing decompressive craniectomy as a life-saving intervention for severe traumatic brain injury. How "successful" is calvarial reconstruction using frozen autologous bone? 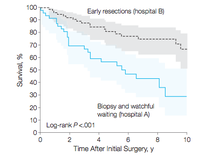 Is resection of gliomas in Wernicke's area reliable? Fractionated stereotactic radiotherapy of vestibular schwannomas accelerates hearing loss. 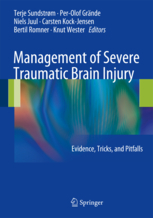 Ethical considerations for performing decompressive craniectomy as a life-saving intervention for severe traumatic brain injury. Denne side blev senest redigeret 27. december 2015 kl. 13:01.